I promise I don't know where the last week went since I last posted. 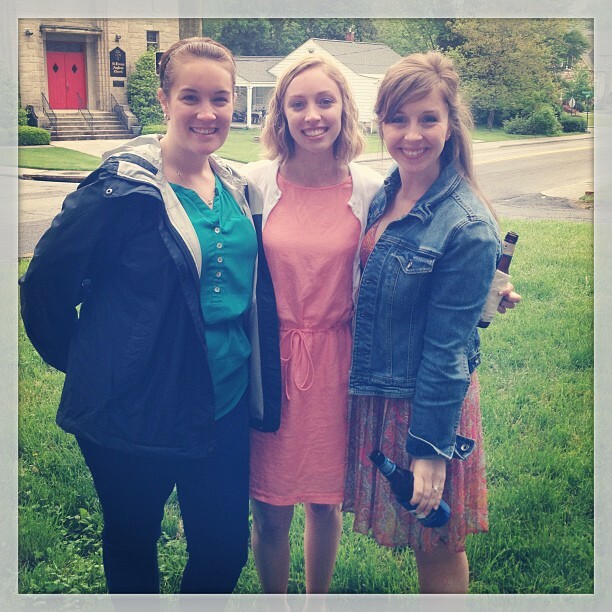 Me and my fab cousins/bridesmaids/BFFs Erin and Katie. XOXO! Ok, I guess somewhere in there, there was a little post-wedding family reunion slash party central slash party-like-we're-all-still-college vacay, this time in honor of my younger cousin, Brian, who graduated from Virginia Tech. 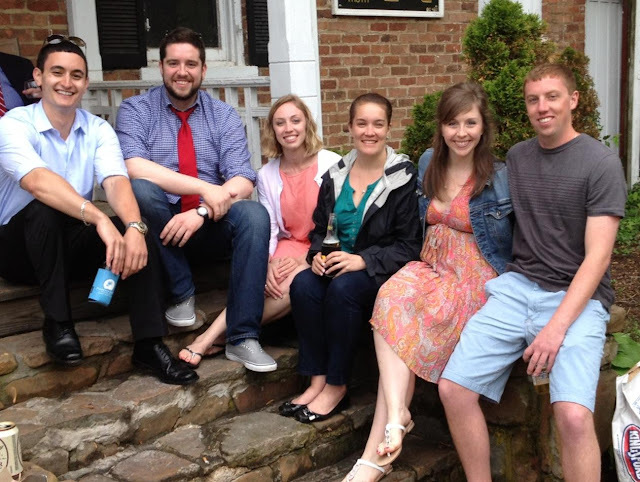 The Cousin Clan! Plus Steve. Minus the hubs. And one cousin. Close enough. Let's drink! Congrats, Brian! So I don't totally fail, right? Family is a good excuse, right? Right?! Seriously, though, sorry that I fell off the face of the planet. I even had this lovely little post mostly ready to go, too. So, here goes! Time for some more Betty travel time -- this time, to Dingle, Ireland! For the second part of our first honeymoon week, we drove down to the southwestern corner of Ireland, to the Dingle Peninsula. 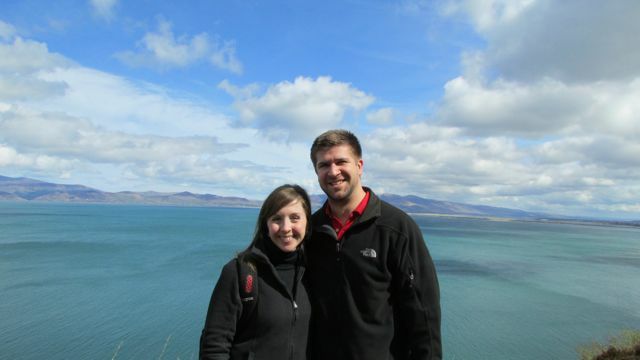 While we stayed in B&Bs throughout our honeymoon, we switched things up a bit in each place. 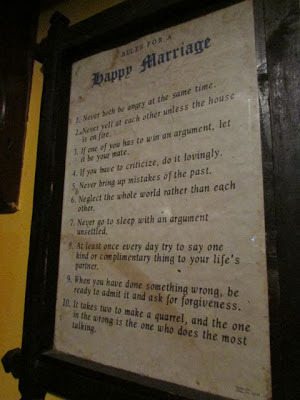 Our Doolin B&B was very traditional, while our Dingle B&B bordered more on a small hotel-feel. We were one of many rooms, and our room looked right out on the bay. 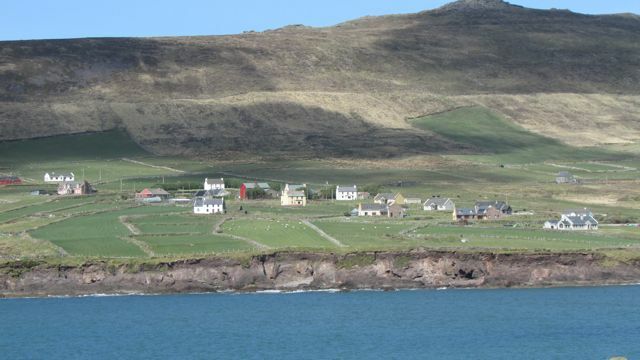 Dingle has a lot to do all within a day's drive. One of the easiest, and of course, free, things to do is drive around the Peninsula itself. We chose to drive around the Slea Head Drive, and oh my, how incredibly beautiful! It was a gorgeous day and we got somewhere around a million fantastic pictures. If I lived in this part of the world, I think I would have trouble getting anything done. BB Tip: Bring some snacks and drinks along with you for your drive, as not all of the towns along the way are very large. The drive is a perfect morning outing, getting you back in time for an early afternoon pint. 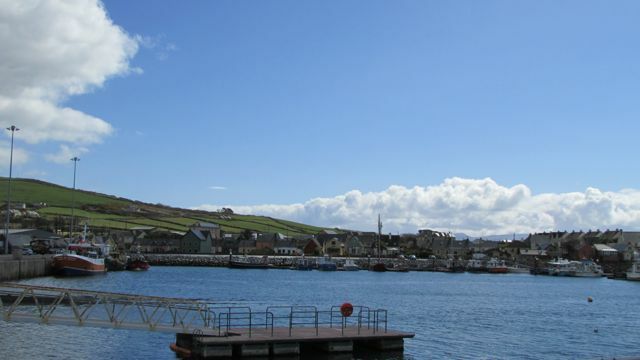 There are something like 30 or 40 pubs in Doolin, from hotels with a pub on the ground floor to the traditional music houses serving up pints and live sessions. We, of course, chose to sample a number of the pubs while we were in town. While pub food is tons of fun, though, we were getting a little tired of it by the end of the week. 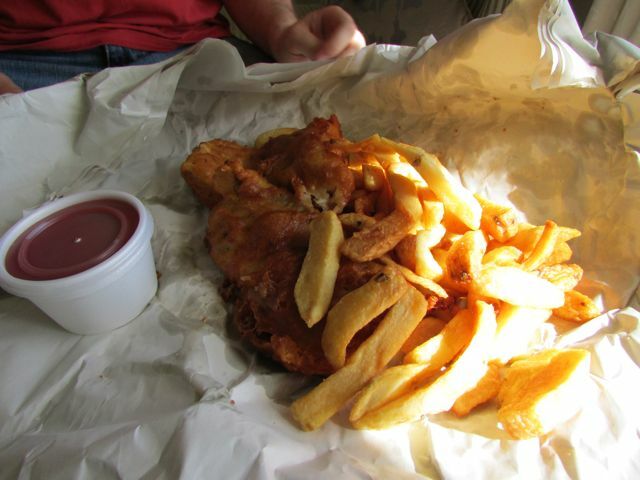 Thankfully, Brad caught sight of a "takeaway" fish and chips spot that took pub food to a whole new level. Enter, the Best Fish and Chips I Have Ever Eaten. BB Tip: Dingle Fish Company has no seats and might remind you of a hole in the wall spot from a big U.S. city. But do not ignore this joint just off the bay by the entrance of town. It is worth the standing around and taking out, especially since you can't beat the price. For those of you who know the power of Tain in NYC, you know what I mean. No joke, this was an amazing, amazing meal, and still piping hot when we got back to our B&B to eat it. We split a large portion, and it was more than enough. 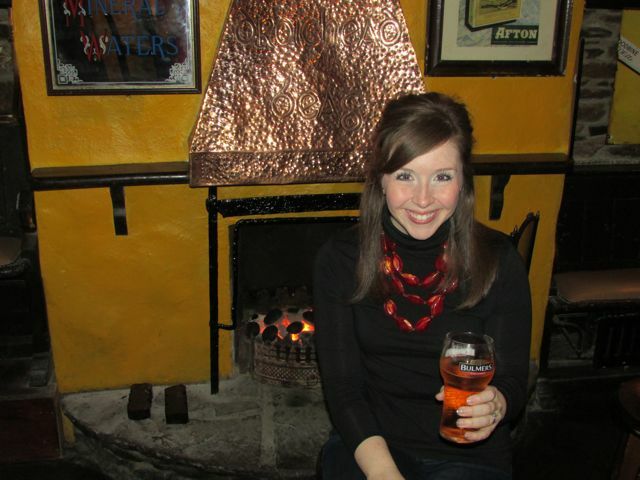 I drank more cider in Ireland and Scotland than beer. Bulmer's and Aspall were my favorite! 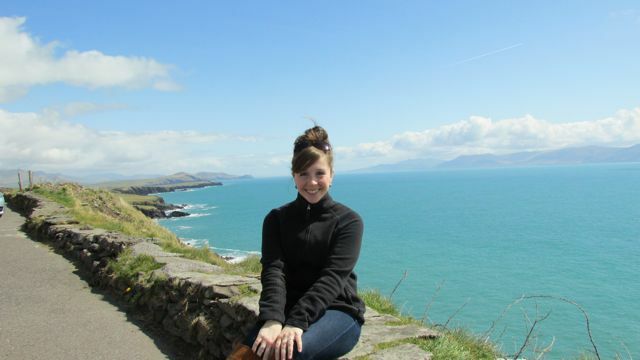 The other thing we did while in Dingle was tour the Ring of Kerry. The Ring of Kerry is a huge tourist destination, know for amazing ocean views, tiny roads encircling the Peninsula and quaint villages along the way. It's about a 4-5 hour drive around the whole thing. We kind of ruined it for ourselves, having already driven around the Slea Head Drive, but it was a nice tour of another part of Ireland. Plus, the bus driver was totally entertaining, and we got to listen to some fun Irish music along the way. Brad liked it because he didn't have to drive, so he got to actually see the sights, too. 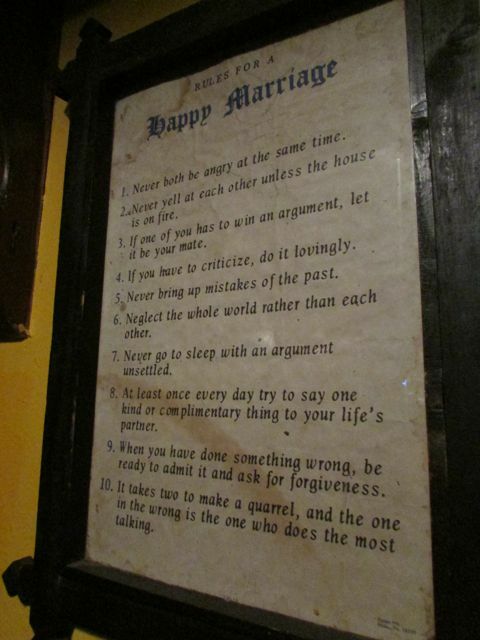 Words of wisdom for us newlyweds ... in the bar.